Do you know what’s in the makeup and cosmetic products you use? Unfortunately, you probably don’t, because the FDA doesn’t require companies to list every ingredient. Cosmetic companies also aren’t required to have any products or ingredients approved or reviewed by the FDA before selling them to customers. And if there is an issue with a product or ingredient, the company isn’t required to tell anyone. It may not seem like a big deal, cosmetic companies can’t sell anything if it’s actually going to hurt you, right? Cosmetics and drugs are treated differently by the law. Makeup and skincare companies can use almost any ingredient or raw material they choose. They aren’t required to have anything approved beforehand. The FDA only limits some color additives and prohibits a few substances. There have been many cases of people becoming sick from the use of a makeup or skincare product. They can cause mild to extreme, short-term and long-term health concerns, like respiratory problems, irritation, breakouts, liver and other organ problems, hormone disruption, and even cancer. However, because it isn’t required for companies to report complaints or illness caused by their products, we don’t have an accurate number of cosmetic-related illness. • Dimethicone – A silicone-based polymer that helps foundations, primers and lotions apply smoothly. This ingredient is FDA approved because it doesn’t cause obvious harm. However, it does interfere with the skin’s natural processes like sweating and being able to remove dead skin cells. Bacteria and oils are trapped beneath the skin unable to escape, causing breakouts, dryness, and enhances the appearance of fine lines and wrinkles. It’s like having a rubber layer covering your skin all day, that’s not natural. • Phthaletes – Usually added to cosmetics to help improve longevity of colors and scents. • Carbon black – An ingredient often used in mascaras and eye liners which has been shown to have connection with an increased risk of developing cancer. Because of the limited laws against cosmetic ingredients, the presence of carcinogens (cancer causing ingredients) is allowed. • Fragrance – You may have noticed this ingredient in many of your products, but do you know what it means? Companies aren’t required to list the ingredients that make up that fragrance. Usually, it’s all just chemicals. • Lead and other heavy metals – These are found in many makeup and skincare products and can cause reproductive, immune and nervous system toxicity. Heavy metals aren’t always added in as intentional ingredients. Sometimes cosmetics can become contaminated with them. Be aware of where your products come from. • Mica – Used in foundations, cement and asphalt, and as insulation in electric cables. Exposure often causes respiratory problems. Because it’s a powder, it’s possible to not only absorb the toxins into your skin, but you could also inhale the toxins while using the product. • Polytetrafluoroethylene (Teflon) – A nasty ingredient found in many different makeup products. It’s made to prevent sticking and to make seals and bearings. • Titanium dioxide – Often found in loose powders and is considered a possible carcinogen. • Formaldehyde - Combined with water, this toxic gas is used as a disinfectant, fixative, germicide and preservative in deodorants, liquid soaps, nail varnish and shampoos. It is a suspected carcinogen, can damage DNA, irritate the eyes, upper respiratory tract and mucous membrane. It can also cause asthma and headaches. • Parabens - Commonly listed as alkyl parahydroxy benzoates - butyll methyl/ethyl/ propyllisobutyl paraben on some toothpastes, moisturizers and deodorants. Research suggests that parabens in antiperspirant deodorants can cause breast cancer. • Sodium Lauryl Sulphate (SLS) - One of the major ingredients in nearly every shampoo, bubble bath, liquid soap, etc. It can irritate skin, stops hair growth, can cause cataracts in adults, damaged children’s eye development and can cause urinary tract infections. • Toluene - A common solvent found in nail enamels, hair gels, hair spray, and perfumes. It can damage the liver, disrupt the endocrine system and cause asthma. • Propylene Glycol - A cosmetic form of mineral oil (refined crude oil) used in industrial antifreeze. The manufacturer warns to avoid skin contact and wear respirators and rubber gloves and yet this is a major ingredient in most moisturizers. • Phenoxyethanol – Used as a preservative and a stabilizer in perfumes and soaps. This is used as a preservative in some “natural” skincare products as well. Check your labels. • Preservatives – They’re in almost everything. Their intentions are good, but they often lead to negative effects. Parabens and formaldehyde are often released by common preservatives. This is just a small portion of the toxic and nasty ingredients found in makeup and skincare. Email us for our list of ingredients we never use. Using makeup and skincare products containing chemicals doesn’t mean those chemicals will go inside by body. How can they hurt me when it’s just on my skin? It takes about 26-32 seconds for anything applied to the skin to enter the bloodstream. Anything you put onto your skin, or are exposed to through the air, goes into your body. The products don’t have to be applied directly to your skin. You could be breathing in sprays and powders, or swallowing chemicals found in your lip products or lotions you put on your hands. I use products that say that they’re natural and/or organic so they must be safe. While these products are often better, they’re not always safe. Cosmetics labeled as natural or organic can still contain synthetic chemicals. In fact, it’s possible that they only contain as little as 10% organic ingredients. 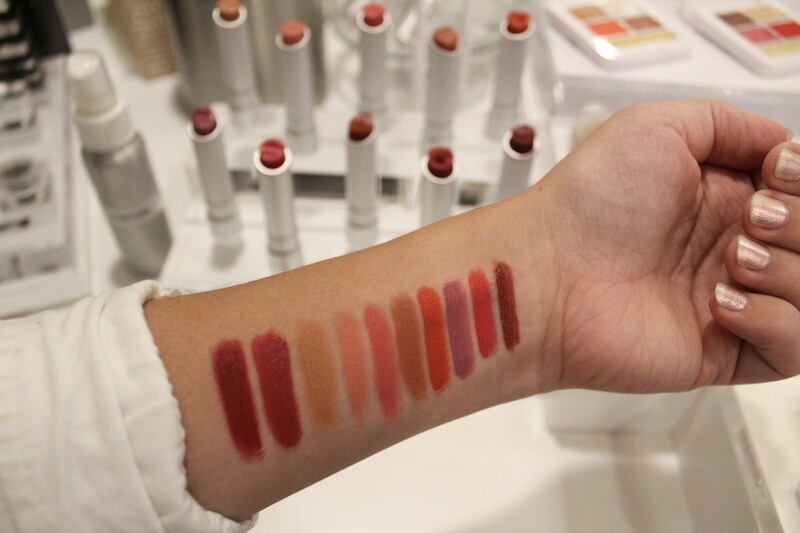 There isn’t even a specific definition for the word “natural” by the FDA when it comes to cosmetics. I’ve seen so many products and companies claiming to be natural, when in fact, they are filled with synthetic or nasty ingredients. Even some natural ingredients aren’t safe to use in skincare. You have to do your research and know what to look for. Know what each ingredient truly is and how it can affect you. Not only are these hidden toxins bad for your health, but they will affect the appearance of your skin overtime. Your body stores excess toxins in fat cells, which could contribute to the appearance of cellulite and fat deposits. 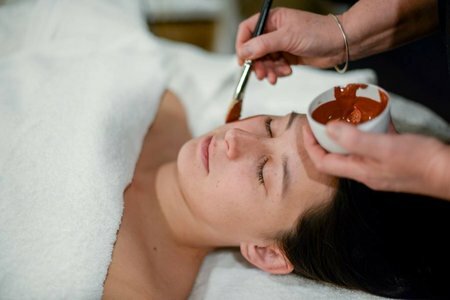 You can also learn more about the importance of cosmetic ingredients on their website. 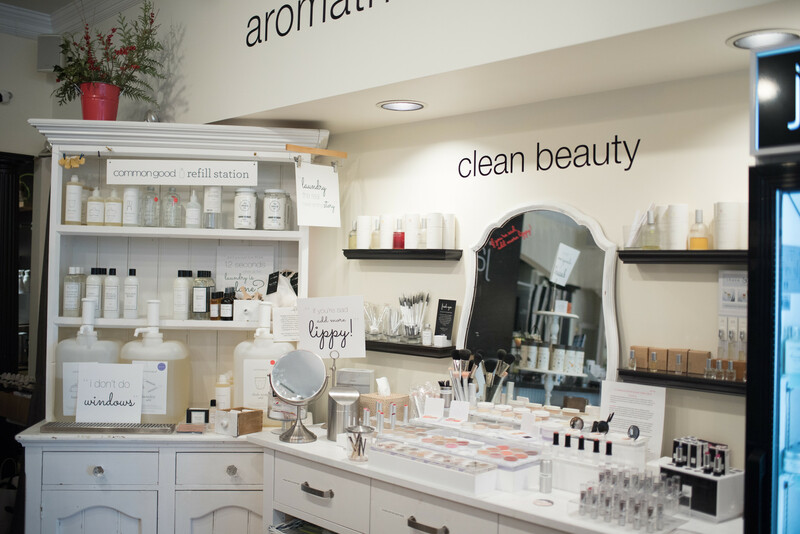 There are a few all-natural makeup brands that we love as well. 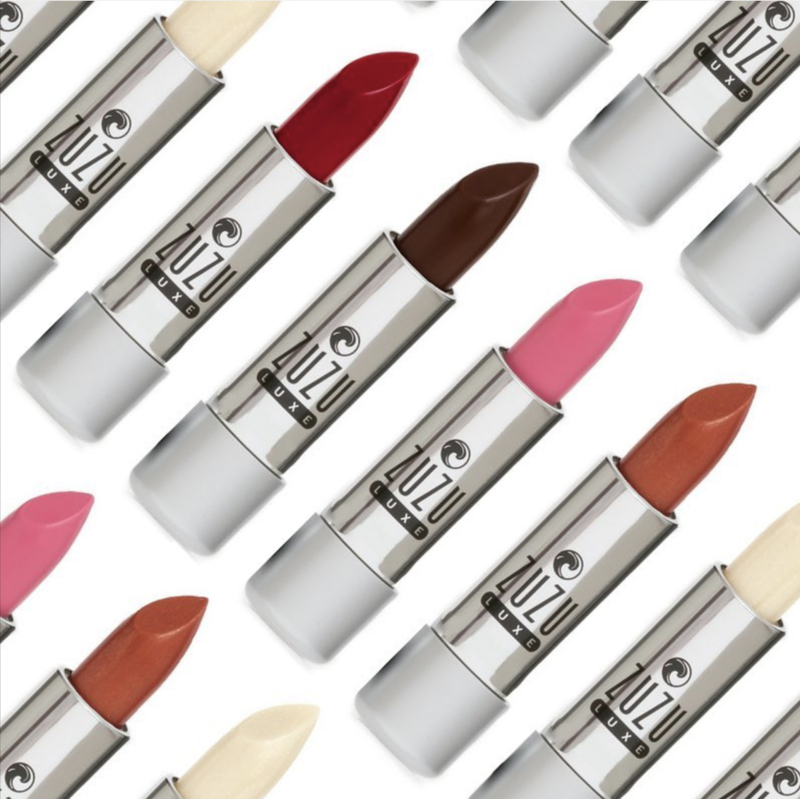 • RMS – A makeup company created by Rose-Marie Swift, a makeup artist with over 35 years of experience. Several years ago, she began experiencing health issues and discovered it was caused by toxic levels of heavy metals in her bloodstream. She then began rebuilding her health and created her own company to continue with her passion for makeup while avoiding toxic chemicals and ingredients. • Lily-Lolo – Started by a woman named Vikki, who loved to create products in her home. 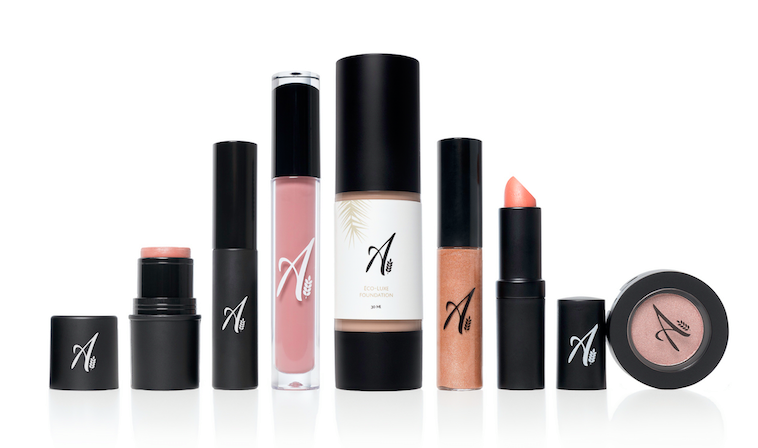 Over 10 years later her products are now on the shelves of beauty stores all over (including ours) and even in London. She only uses products that will nourish and protect the skin and designs her products for women of any skin type or color. 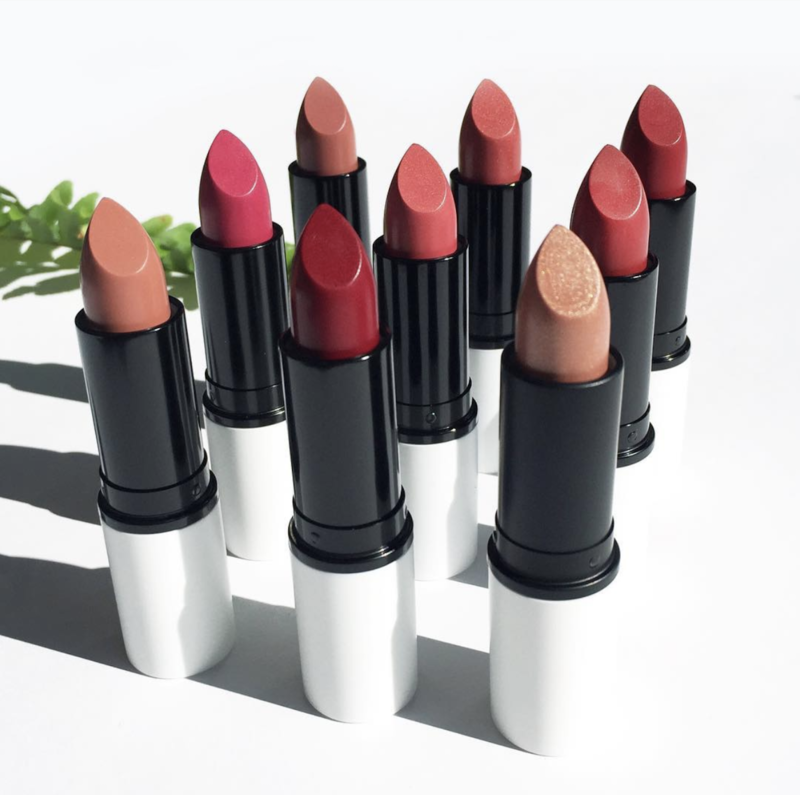 • Zuzu Luxe – Founded by Gabriel De Santino in 1992, Gabriel cosmetics was created using botanical ingredients to reflect the influences Gabriel had growing up with homeopathic skincare and cosmetics. He continued to develop other brands including Zuzu Luxe and Clean Kids Naturally. The collections were created to bring out a woman’s natural existing beauty. • Aisling Organic Cosmetics – Founded by a woman named Krysta, each ingredient in Aisling Organic Cosmetics contains incredible benefits. Her goal is to educate and care for the skin of every woman so that they can enjoy using makeup without the harmful ingredients. 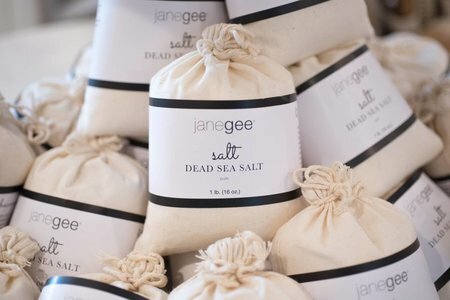 Her products are made close to home in Andover, MA. The amount of information and advertisements about makeup and skincare can be overwhelming. It’s hard to know which brand or product is best. Between celebrity endorsements and misleading information, it’s almost impossible to know the truth. Apps like Think Dirty can help. They have over 550,000 products listed to show ingredients and cleanliness of each. You can quickly scan a barcode of a product to learn more about it and compare it with others. Putting on makeup shouldn’t be like playing with matches. Understand what you’re putting on and inside of your body. Understand the risks and ask yourself, is it really worth it? Don’t sacrifice your health for beauty.